My name is Natalie and I am a wife to one wonderful husband, mother to one beautiful son (14 months), and child to one glorious God. I’m pregnant with our second child due in June 2012 and happily stay at home taking care of our son and volunteering in our community. I am also a scar holder to one traumatic birth ending in a Cesarean Section. I will tell more about that story later but now more on what I am doing here. 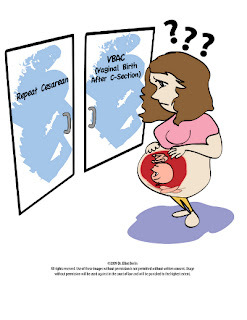 I decided to start this blog to share my journey down the path of the VBAC dilemma. I am currently seeing an OB in our area that states that he is “pro VBAC” but my first two appointments with him have been less than reassuring. During our first visit he convinced me and my husband that he saw no reason why a VBAC wasn’t the best option for me and with limited restrictions would be the way we would precede. My second visit he sang a different tune. He called me “high risk” at least 10 times then back tracked from the previous conversation and took a more “VBAC is great… but unlikely” stance. I left the appointment feeling defeated. I had already lost the battle, at least with him, so that is when I decided to think about taking a different approach. I don’t think you can really know what was going through my mind without the story of my first birth. Believe it or not, it started as a homebirth. I labored at home for 12 hours and pushed for about 2 hours. My midwife, despite what I had though about them, made decisions for me that I can only attribute to her desire to speed things along. 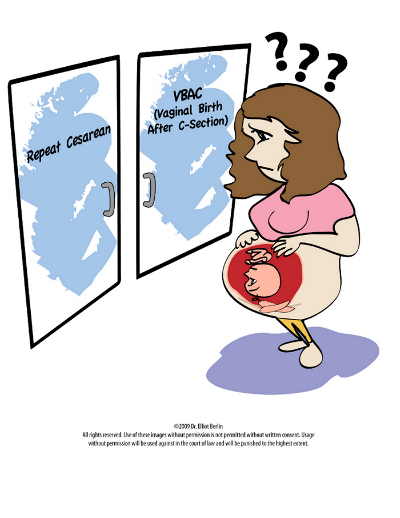 I planned a homebirth to avoid the unnecessary interventions so common in hospital births but found my midwife was not as patient as I had expected. Of course, I could have said no to the things that she did but I had the naive view that I could implicitly trust all midwives. She broken my water as soon as she arrived and got settled and had me start pushing before I was fully dilated. It all ended with a swollen cervix (due to pushing on an un-dilated cervix) and a transfer to the hospital. The midwife and her assistance were so concerned about leaving their cars out in the suburbs that they had me and my husband drive to the hospital alone. After arriving at the hospital, getting registered, and receiving an epidural the doctor came in. Within 15 minutes I was rushed off to the OR to have a c-section. They claim it was due to decelerating heart rate but later the OB admitted that my son was fine but could have gone down in a matter of minutes or could have lasted for hours more. They did not want to take the risk. So I ended up with a c-section and my midwife was never seen or heard from again. To tell you the truth, I am not anti-homebirth or midwife after my situation, but I am a little fearful that if I attempt another homebirth I will end up transferring and it will all be for nothing. So here I am now. Having to face my fears or take the risk with an OB. My goal is to face my fear, but I want to do my due diligence, research the facts, and find the best person to support me. This is the challenge. For now, I will continue to see my OB and continue down the path that will hopefully lead me to a HBAC.